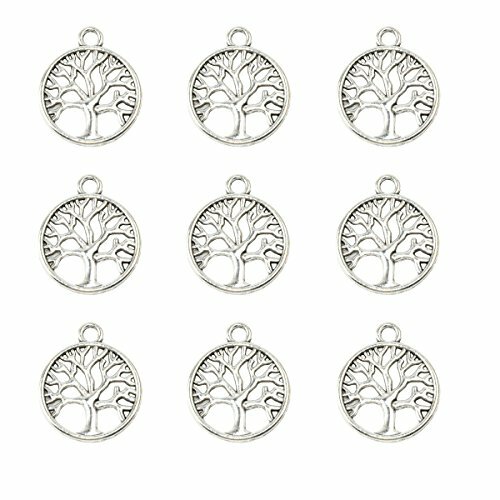 Best for necklace, bracelet, clio-on charm, dangle, best choice for jewelry DIY. 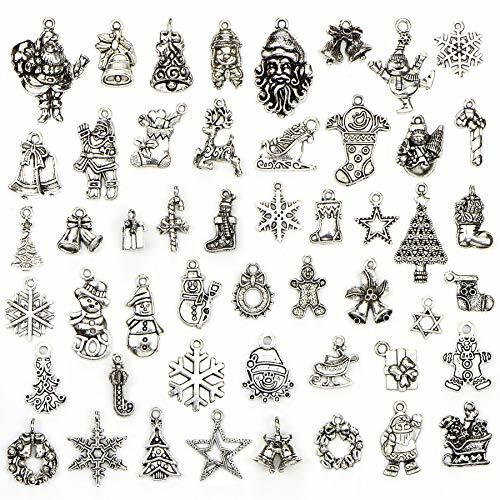 Assorted themes great array of subjects and styles for women, girls, grandma, great jewelry and craft charms. For any quality issue of the item, please contact us directly. we will provide the most satisfactory service. 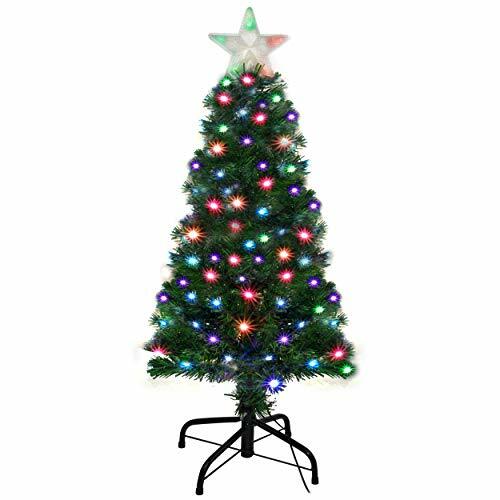 MAJESTIC ARTIFICIAL PRELIT CHRISTMAS TREE Our exclusive Holiday Essence Majestic Premium Quality 4 Foot Pre-lit Christmas Tree is the ideal choice for you! Featuring This verdant grandiose tree features 120 branch tips and 120 flashing LED lights. Especially designed to capture the enchantment of a Holiday wonderland for your home. ⇒Topped with our exclusive eye-catching STAR TREE TOPPER that adds that magical touch to your tree, you’llwant to use it year after year. 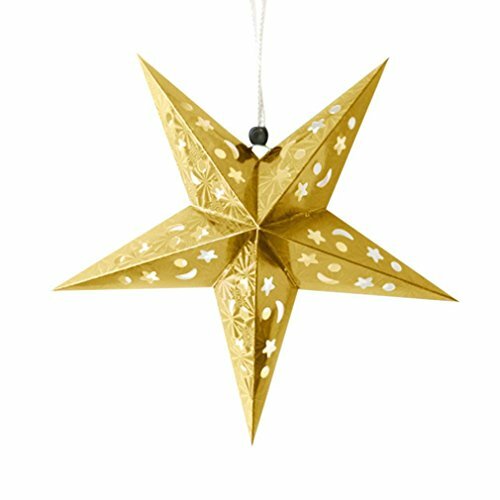 This star tree topper is sure to give your tree that “wow” factor and bring the Christmasspirit into your home. The Tree will fill your home with an amber brightness, adding warmth and charm to your holiday backdrop. It isdecked with warm green needles that evoke cheerful images of family outings. ⇒Fully hinged branches and an elegant full profile results in a realistic Christmas tree that is simple to set up in anyroom, big or small. Our tree captures the natural beauty by duplicating its regal branches, flat needles and nuancedgreen color. BRING IN YOUR FESTIVITIES IN STYLE WITH THIS EXCLUSIVE ARTIFICIAL CHRISTMAS TREE. 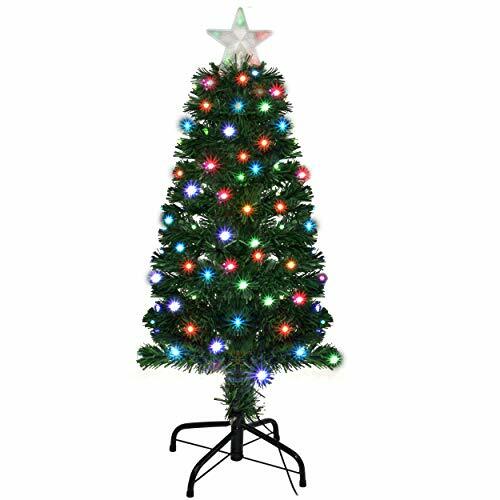 MAJESTIC ARTIFICIAL PRELIT CHRISTMAS TREE Our exclusive Holiday Essence Majestic Premium Quality 3 Foot Pre-lit Christmas Tree is the ideal choice for you! Featuring This verdant grandiose tree features 96 branch tips and 100 flashing LED lights. Especially designed to capture the enchantment of a Holiday wonderland for your home. ⇒Topped with our exclusive eye-catching STAR TREE TOPPER that adds that magical touch to your tree, you’llwant to use it year after year. This star tree topper is sure to give your tree that “wow” factor and bring the Christmasspirit into your home. The Tree will fill your home with an amber brightness, adding warmth and charm to your holiday backdrop. It isdecked with warm green needles that evoke cheerful images of family outings. ⇒Fully hinged branches and an elegant full profile results in a realistic Christmas tree that is simple to set up in anyroom, big or small. Our tree captures the natural beauty by duplicating its regal branches, flat needles and nuancedgreen color. BRING IN YOUR FESTIVITIES IN STYLE WITH THIS EXCLUSIVE ARTIFICIAL CHRISTMAS TREE. Create your own personalized Christmas Tree Ornament. 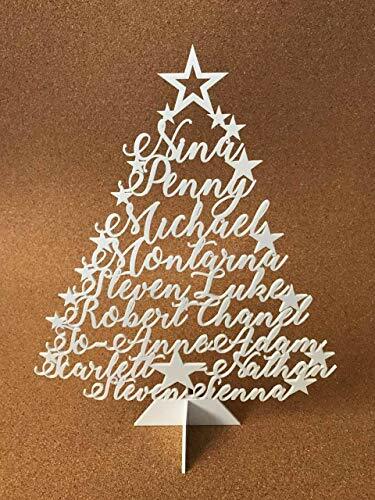 Beautiful personalized wooden or acrylic Christmas tree. The price depend of the quantity of names. These are our new personalized Christmas trees! First photo in my listing is for approximate 14 names. Their approximate measures 30cm x 36cm and the tree is made up of your chosen names! 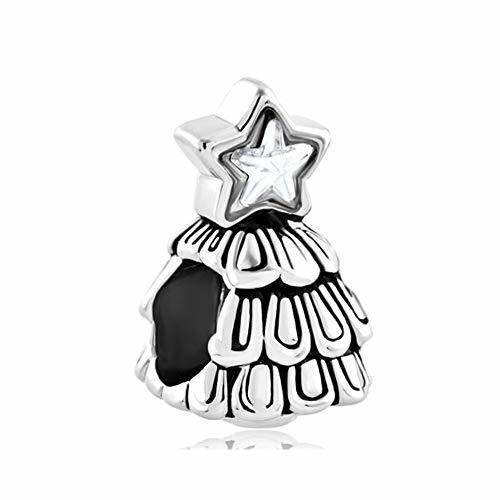 We simply add your names and a few festive words and stars to complete the tree! Includes the names of your choice. These Christmas trees come in different sizes and can be personalized with any wording. Please feel free to contact me with any question or custom orders you may have. Dimension: photo #3 Colour: photo photo #7 Family tree is available in custom sizes! Custom orders are welcome. 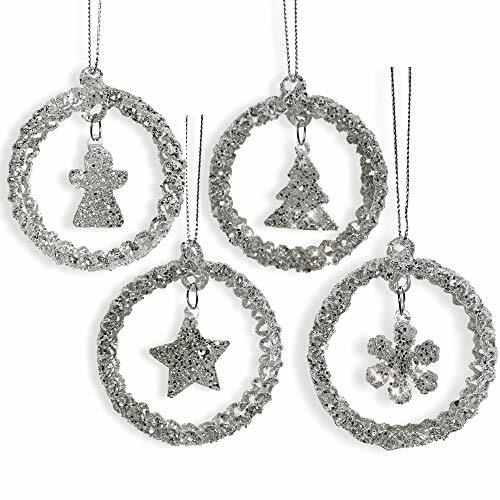 Set of 4 glitter covered spun glass Christmas ornament rings with assorted hanging charms- Star, Snowflake, Angel and Tree. Each measures approx. 2.25 Inch diameter. Silver String for hanging. Gift boxed. Very sparkly! Brand: WYSIWYG(What You See is What You Get) Feel Free To Contact Us: If there is any problems, please kindly email us via going to Account>Your Order>Find your order and CLICK Contact Seller,send us email and then we will respond you ASAP. Your satisfaction is our best encouragement. Any questions on our customer services,welcome to suggest, thanks! Customer Review: If you are satisfied with our products and services, please kindly leave your positive feedback.Thank you! A whimsical design adds a playful touch to any holiday display with the Holiday Time Star and Bird Christmas Tree Ornament Decorations set. This lovely ornament set features three brightly colored felt creations in the shape of bright blue Christmas stars with white, pink, green, and black embroidered stitching. The set also includes three pink felt birds with green wings highlighted with white star pom-poms and white edge stitching. Add the Holiday Time Star and Bird Christmas Tree Ornaments to your tree and create cherished Christmas memories for years to come. Topping your tree this year with these decorations is sure to turn heads. With their natural looks and classic appeal, you'll add a touch of Christmas magic to your home. 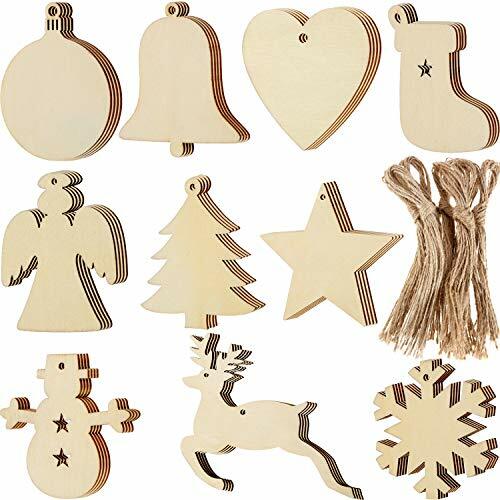 Description:Size:15cm.A very stunning decoration for the top of your Christmas tree.Suitable for decoration in homes,hotels,restaurants, offices,buildings and other window Christmas landscape layout,to meet the festive atmosphere.Note:to prevail in kind, may be color.,. 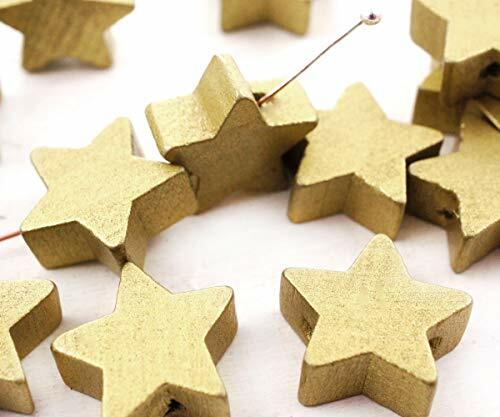 Add some shine to your Christmas tree with these star toppers. 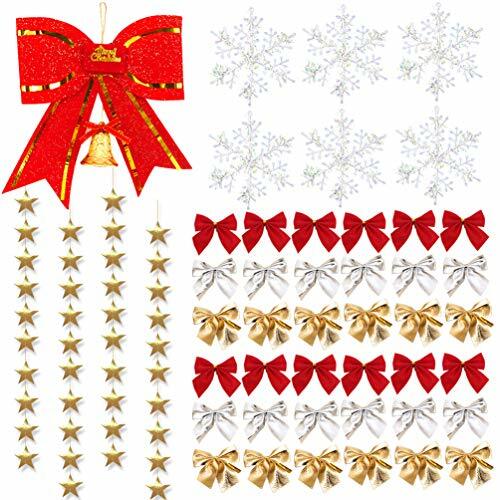 Christmas tree topper star: the classic and timeless ornament for the top of Christmas tree, a beautiful sparkling gold topper star stands on your Christmas tree elegantly to make your Christmas tree perfect.With gold glitter and sequins: lots of red glitter and sequins on the surface of topper star, make your tree very sparkly under the light, add nice and elegant style to Christmas tree, really charming.Topper stars: made of good quality metal, sturdy and durable, do not deform; With glitter on the surface, rust-proof; The star is 9.8 inches/25cm; Wire spiral cone on the bottom to keep topper star standing on the treetop firmly.Festive decoration: fit for most tree decoration styles, to make your tree unique, people will be excited to see the sparkling tree topper, create festive atmosphere.Package includes: Each package includes 1 pieces of metal red topper star. If there is any question for product quality or other problems, please feel free to contact us timely, the best service will be provided. 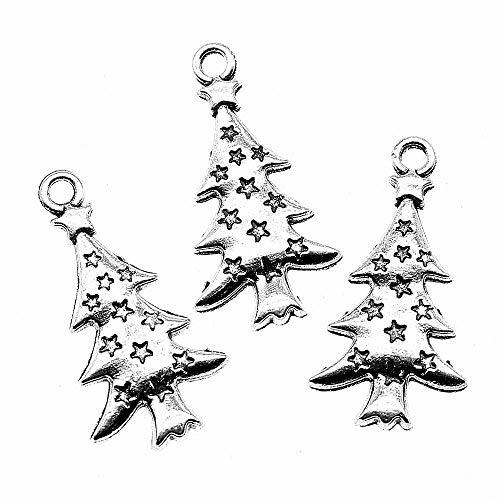 Looking for more Christmas Tree Star Charm similar ideas? Try to explore these searches: Flt Blk Enamel, 4c Stainless Steel Elbow, and American Speaker. 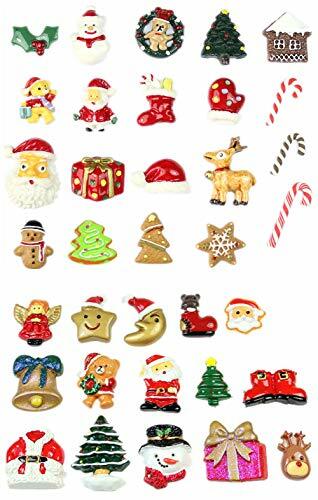 BlesDeal.com is the smartest way for online shopping: compare prices of leading online stores for best Christmas Tree Star Charm gift ideas, Christmas Tree Star Charm deals, and popular accessories. Don't miss TOP deals updated daily.